Thrive - A fulfilling 2-player abstract from Adam's Apple Games. Adam's Apple Games will be launching a Kickstarter for their upcoming game Thrive on February 26th, 2019. 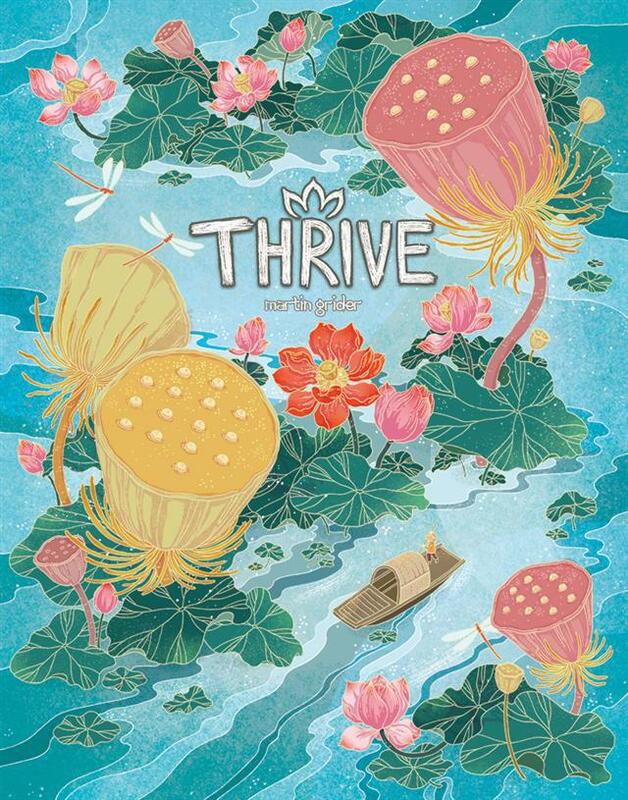 Thrive is a board game where you play as one of two lotus flowers, competing to control the pond. Be the first to capture all but one of your opponent’s seed pods and win this game of tactical decision making! What's unique: A special gift will be shipped to all game backers if they sign up to receive our launch announcement email. The story behind the lotus flower - A seed that may lay dormant for 1000 years, will finally awaken. First, it must fight through the muddy water to raise its heart to the world and each night, it will recede back into the water. One day, a new strain of lotus is introduced into the pond. Your goal will be to overcome this new challenge and thrive. The lotus theme was inspired by the shape of the game piece, a unique piece that resembles the seed pod of a lotus. Beautiful artwork pairs wonderfully with satisfying piece movement for an approachable and fulfilling gameplay experience. A fully playable final art version is released on Tabletop Simulator, and a greyscale artwork version is available via print and play.